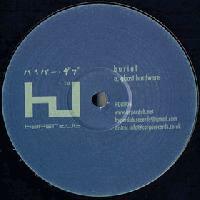 In the months before releasing a seminal garage/dubstep album in Untrue, Burial set about making sure the focus of the electronic world would be squarely on him by releasing Ghost Hardware, which is an excellent showcase of his skills as a producer. The title-track/opener, which is a Burial classic and would go on to be one of the best tracks off of Untrue, does just as well on this EP. "Shutta" is an extremely solid track, one that could've easily been phased into Untrue with little trouble. Closer "Exit Woundz" is in contrast to the other two tracks in that it is easily one of the most minimal and sparse tracks in his discography, which is certainly saying a lot. Thus, the variety and professional skill shown on Ghost Hardware set the stage wonderfully for Untrue, and is an excellent EP by its own merits.